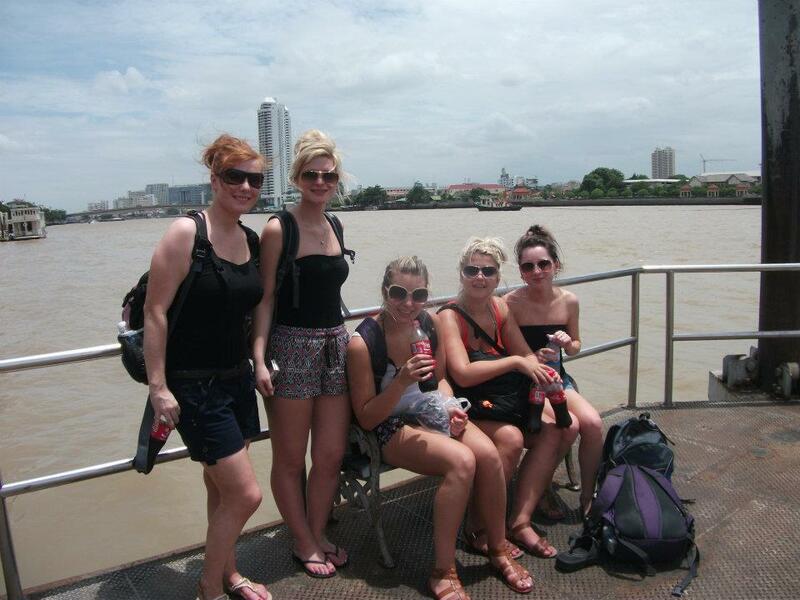 WE HAD FINALLY MADE IT.. Helloooo Thailand!! 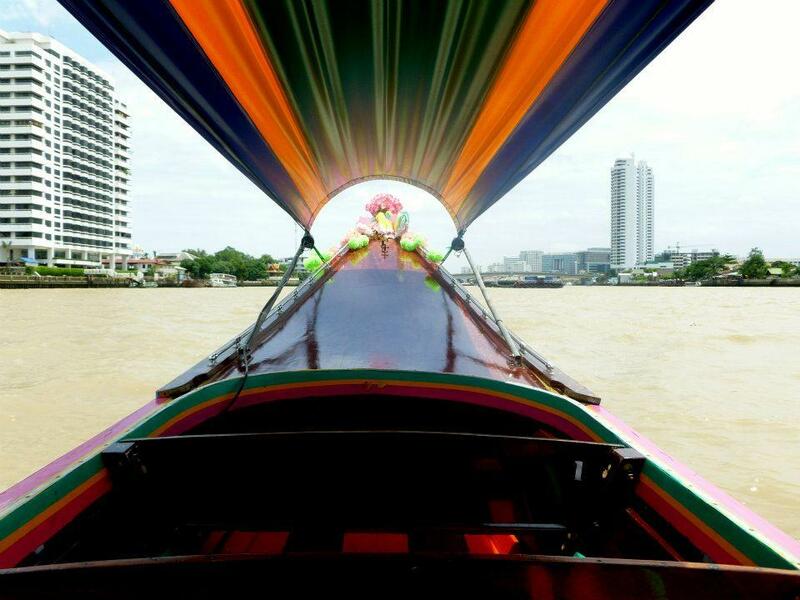 & Hellooooo Bangkok!!! Checking into D&D Inn on the lively Khao San road which we had previously booked before arriving (totally recommended for when you first arrive and have somewhere to head straight to). The rooms were just what we needed …and a lot better than ones what were to come further into the trip. 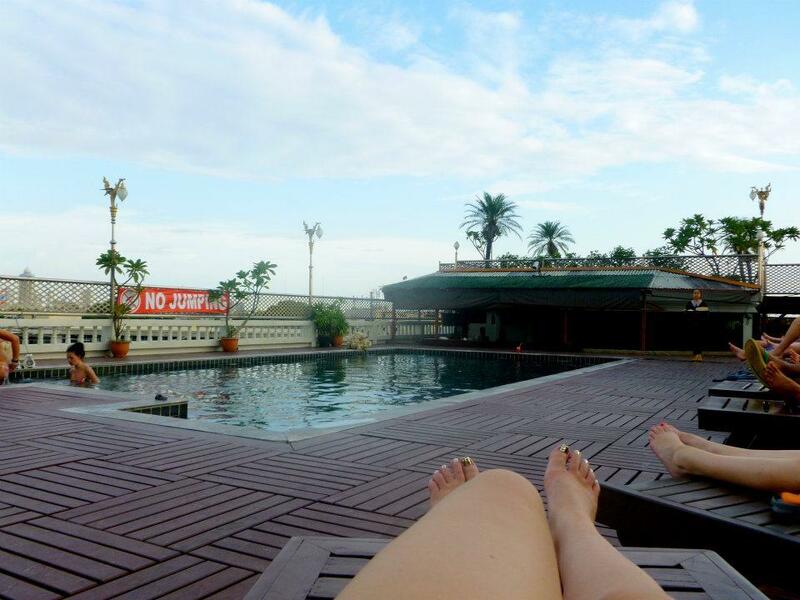 The plus side to this Inn is the rooftop pool (the main reason we booked it). After dumping our bags and freshening up after 28 hours of travelling, we went to meet our friends (who were meant to arrive 12 hours later than us). As it was late we headed out for a ‘couple of drinks and a bit of food’. 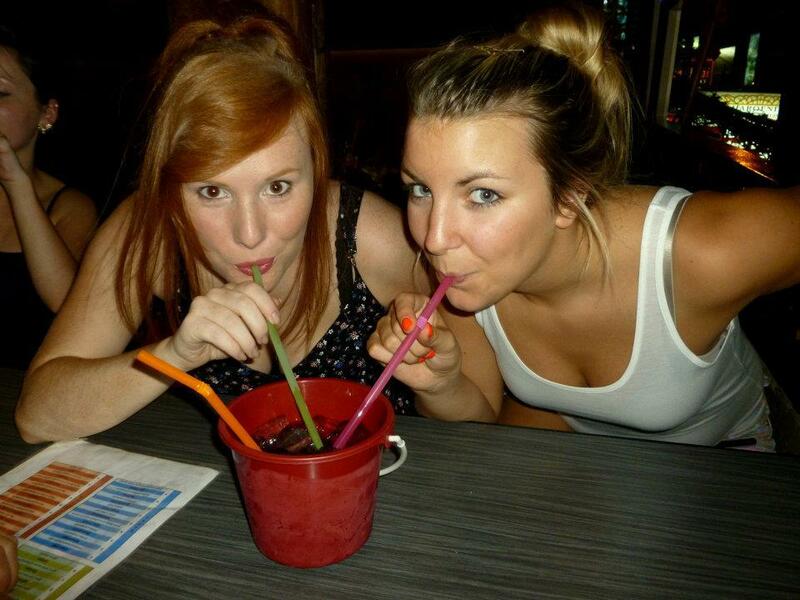 This ended up being chips and buckets (so cultured) on a rooftop bar. We enjoyed our chilled night at the rooftop bar and had my first authentic pad Thai in the street with refreshing Chang Tower, before getting ourselves a good sleep. Starting our second day with our breakfast at the Inn – just fruit for me after constant eating the day before. 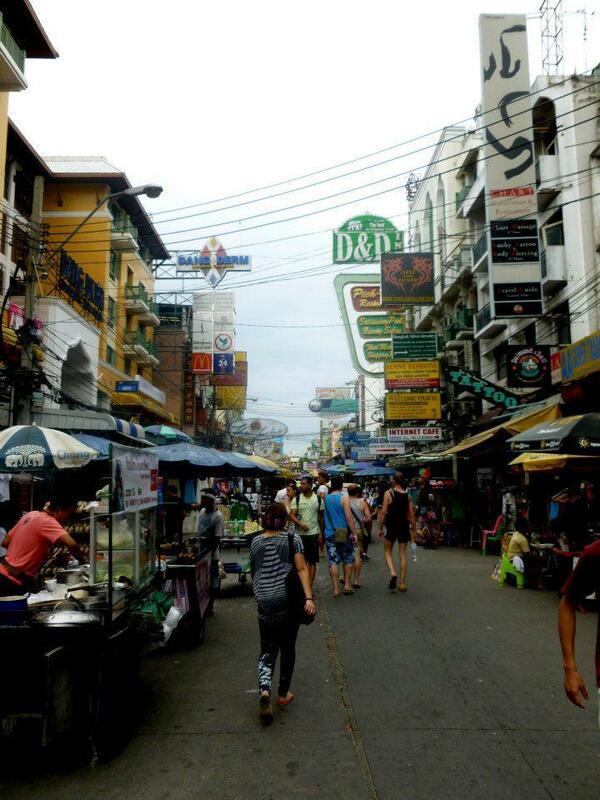 We set off with our hotel being right in the perfect location to explore on Khao San Road. This road is hectic no matter what time of the day you visit. 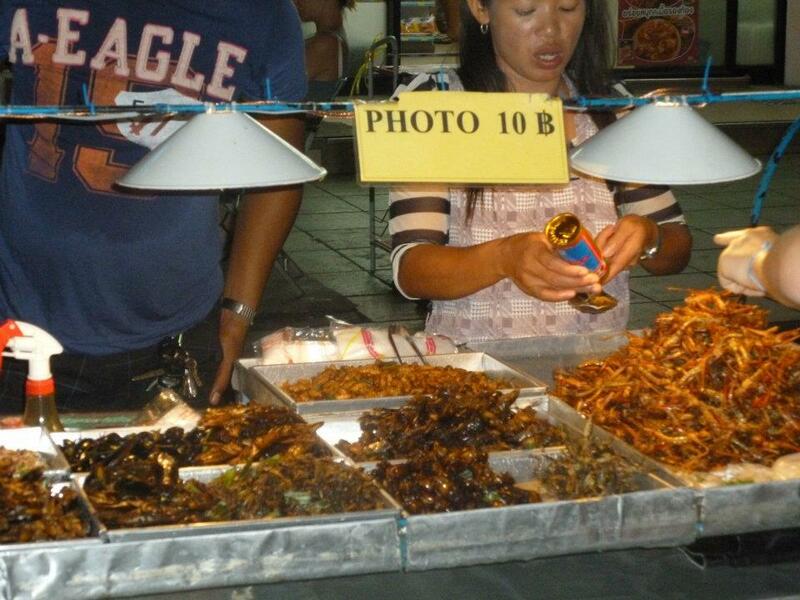 There are so many food stalls which offer Thai dishes cooked in front of you or scorpions, spiders and other bugs if you’re daring enough to try these! There are also people selling you souvenir’s or shows, many stalls selling souvenirs and locally made clothing (elephant pants) and a hell of a lot of tourists mixed amongst the locals. Prepare yourself its busy no matter the time of day. Quick Tip – keep your wits about you on this road there are pick-pockets, fortune tellers (they will try and scam you) around… more so at night. We didn’t have any problems but we know people who did get scammed. We called into Charlie’s, a popular beauty parlour on the road which offer a whole load of treatments including waxing, nails, fish foot spa and massages. 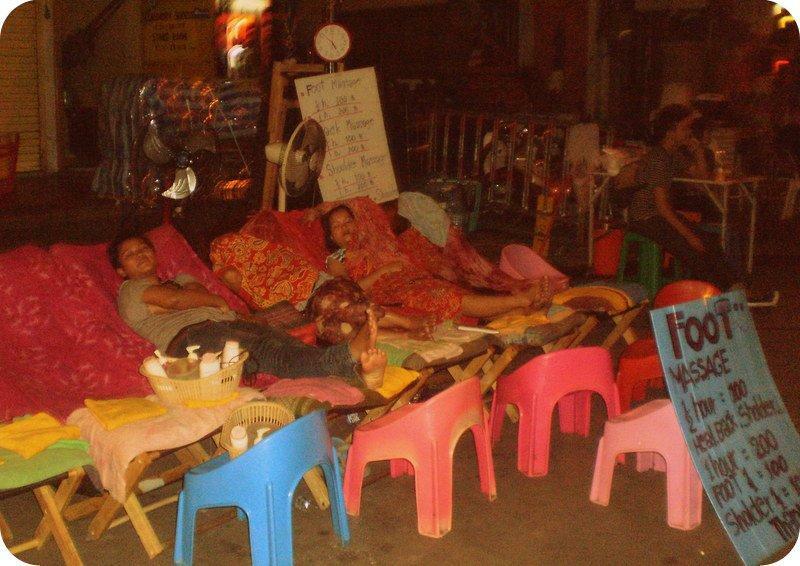 You will see many people here at night in the outdoor chairs getting treatments. Next stop was to pick up the must have souvenir of elephant pants so that we had some suitable clothes to visit the temples. 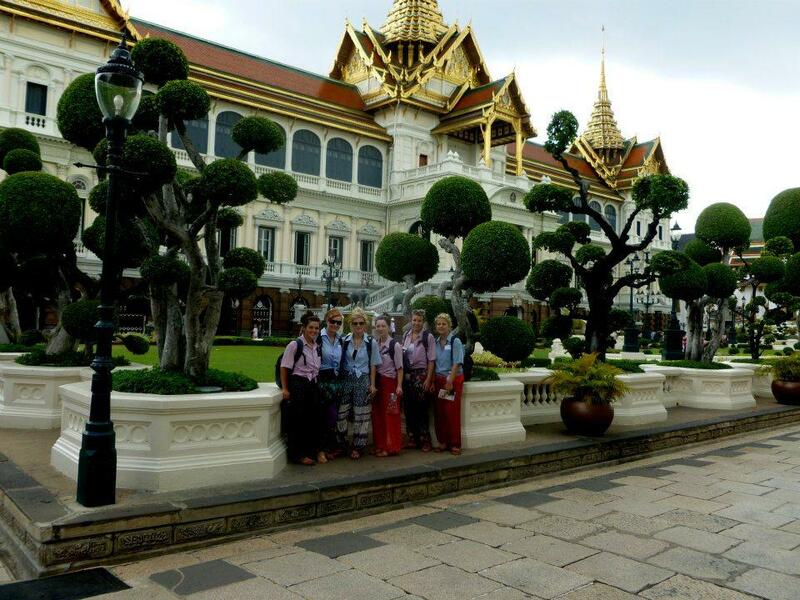 The Grand Palace is only a ten minute walk from our location. 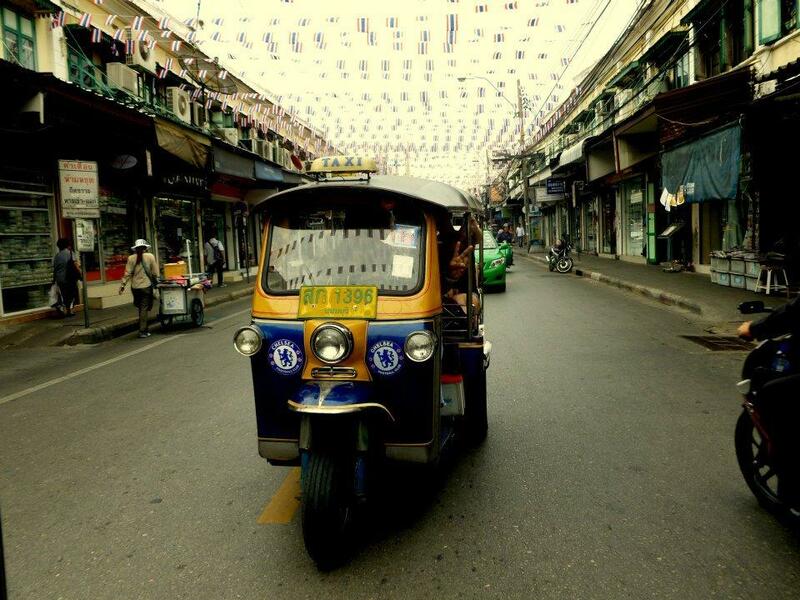 On Khao San Road we decided to catch a Tuk Tuk to begin our initial exploring and to get a look around the city… We of course got scammed. We were warned and still did it – we got a run around of random places in the city but not actually anything we wanted to see… but oh well it was a laugh… and a lesson for us all! 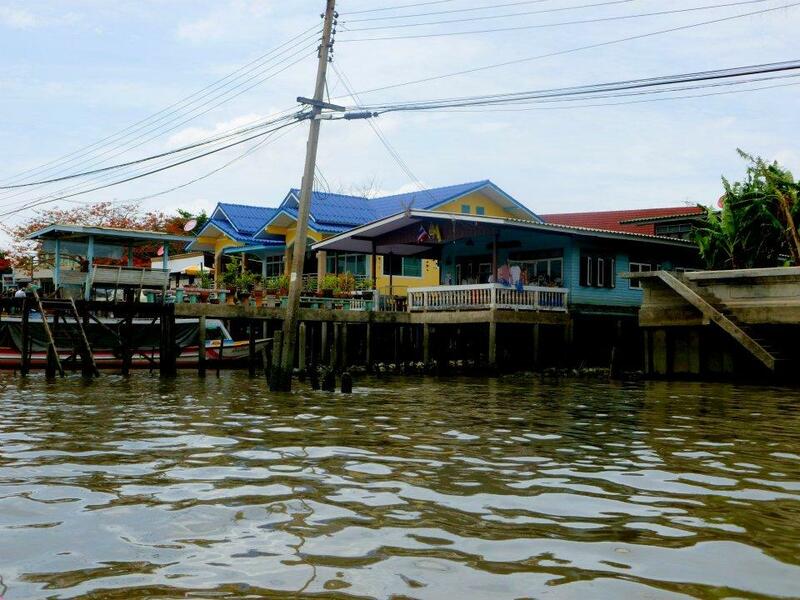 Finally we made it to Tha Prachan Pier (which is still only a ten minute walk form our hotel) to get the river cruise up the Chao Phraya River to the Bangkok Floating markets and WOW!! 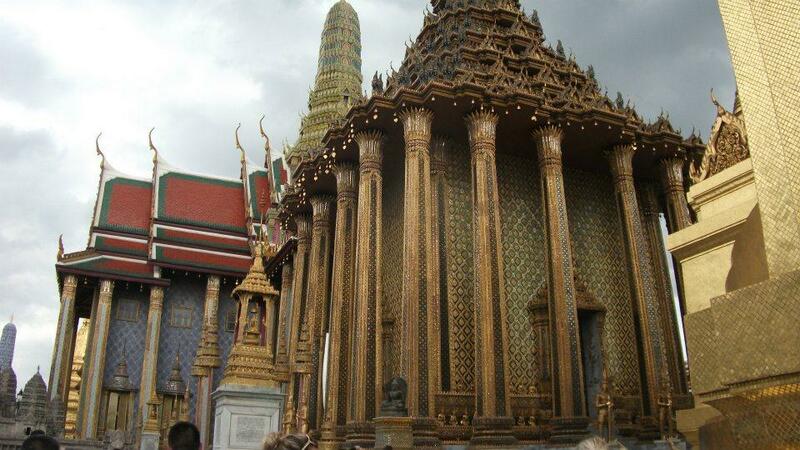 I loved this place absolutely crammed full of amazing Thai treasures. I just wish I could have bought more to take home with me… but it was a tad too soon to fill my backpack just yet! 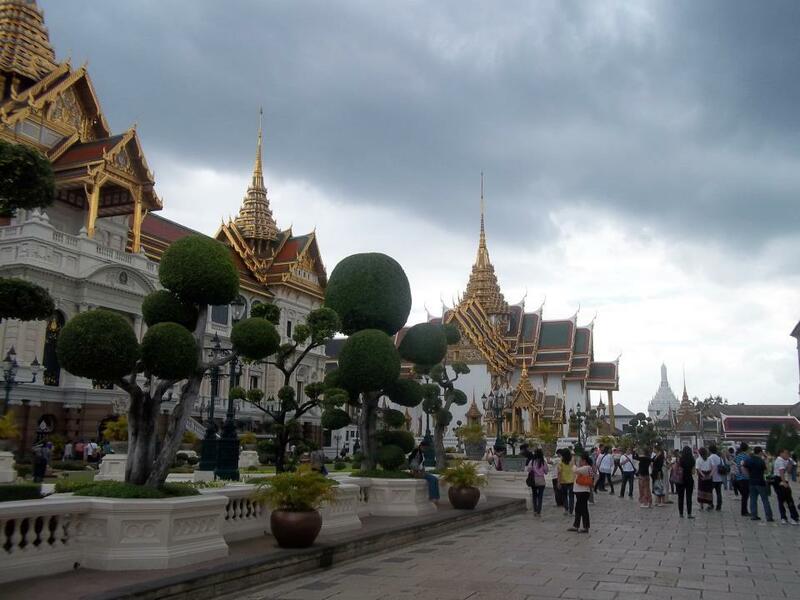 We got scammed (yet again) on route to visiting The Grand Palace. We were told it was closed at the time we wanted to go… DO NOT LISTEN!!! 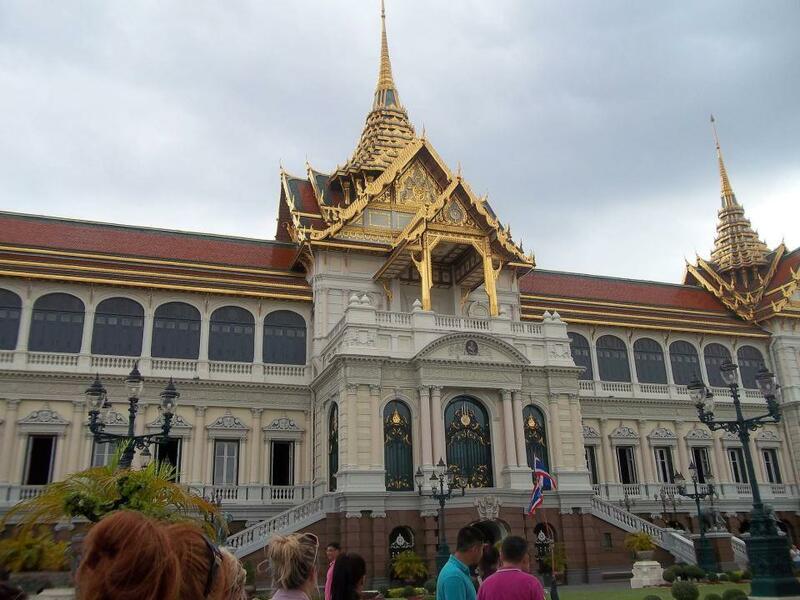 The grand palace is ALWAYS open!! 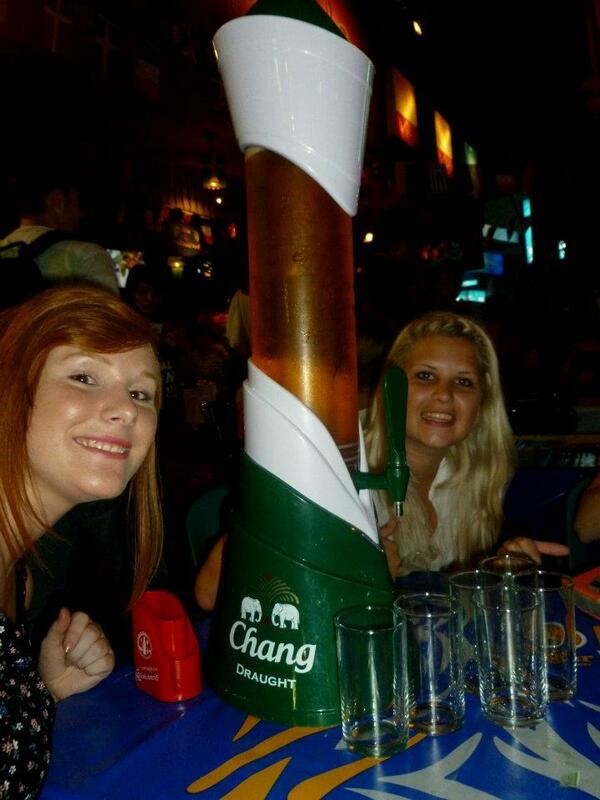 as well as this we managed to get ourseloves into a Tuk Tuk crash with our two and a few cars… luckily we were ok!! Once inside however this place is beautiful, very busy and has a strict dress code (we had to borrow shirts as ours were not suitable – we looked like a tour group- see photo below). 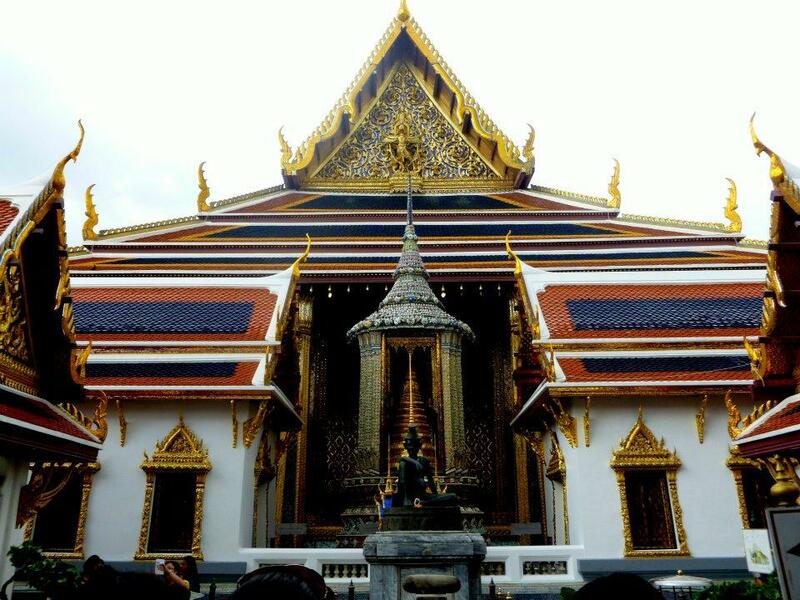 It was our first visit to a Thai temple and were amazed at the amount of detail that goes into these buildings. All of the colours, gold and little tiny mirrors everywhere! It’s like nothing you would see back home! A jaw dropping place and a must visit. 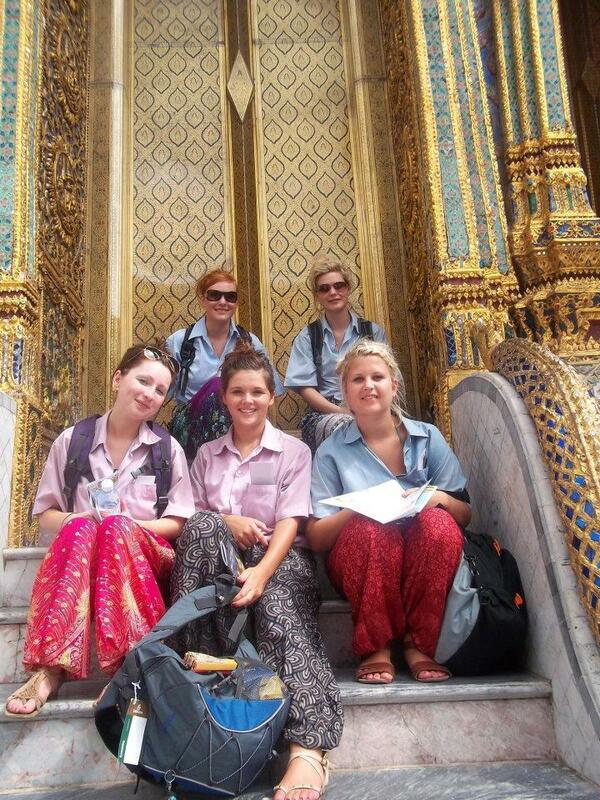 Our beautiful thai pants spoiled by our hired shirts!! ..A hectic day so far it was time for a couple of hours relaxing… and time to make the most of our rooftop pool with a quick snooze-Ahhh the life. 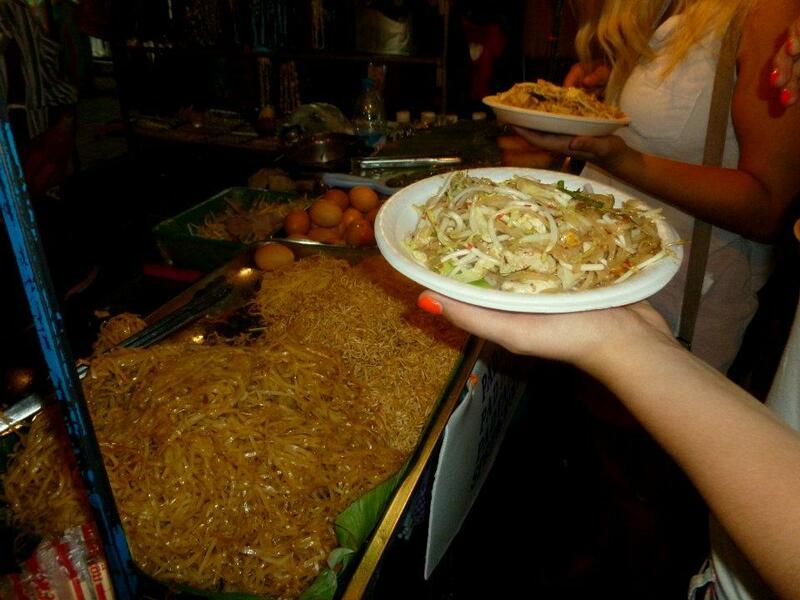 Enjoying another beautiful Thai dish on Khao San Road and heading back to the rooftop bar…. And then a number more!! 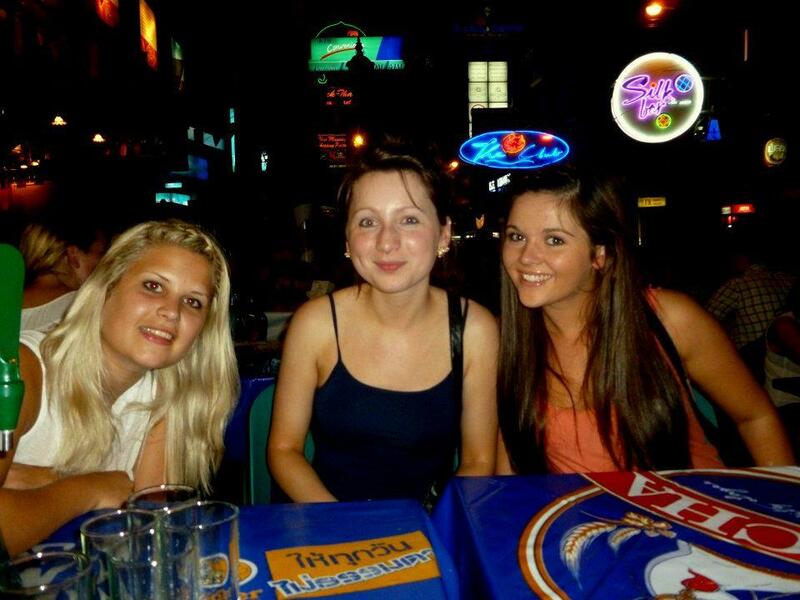 We had been sat in an Irish bar and actually ran into friends we knew from university on Khao San road!! What are the chances! Uni reunion lead to going to lava club! When the club closed everyone spilled out onto the street and there was a huge street party! While this was fun people definitely took it too far. But what a night. All packed and ready to move onto our next destination. Spending the most of the day of our third day in Bangkok around the pool relaxing and had lunch there. Our bus was booked during our second day in Bangkok. 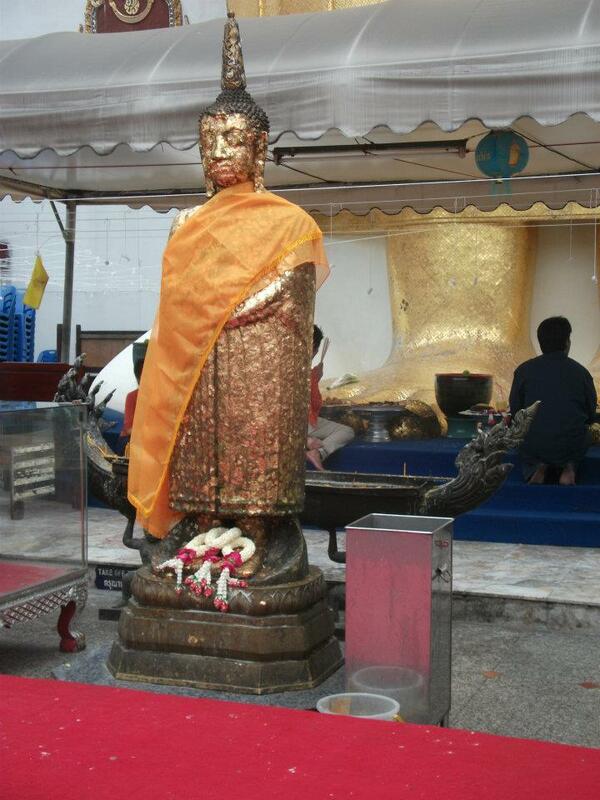 There are many travel shops along khao san road and is very easy to book transport to elsewhere. 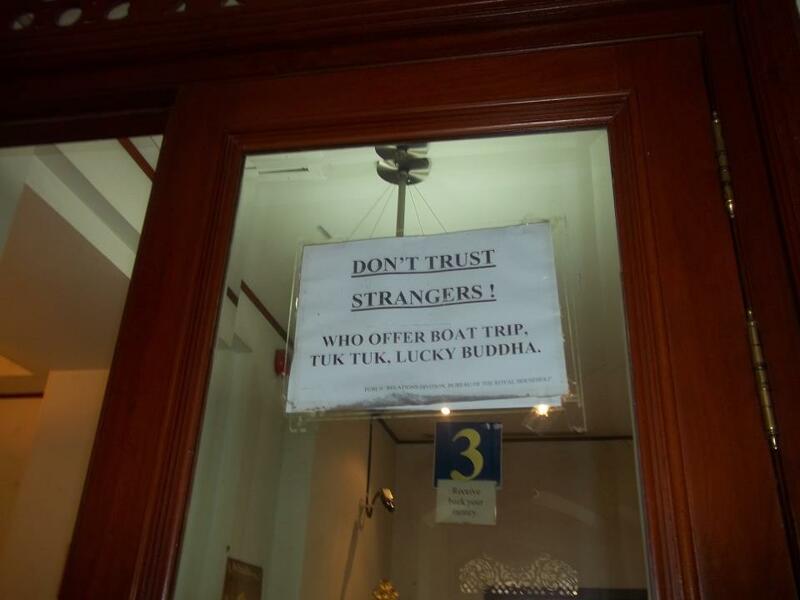 We were told to meet at the shop to go and catch our over night bus to Phuket. The reason we did it this was a it saves on a bed for the night and saves being on a bus all day. The bus was… Interesting.. VIP? What ever that means but we got seats right at the front and could see the Thailand pass by. The bus was FREEZING (take leggings/trousers and a hoodie) but managed to sleep most of the way! Some people can sleep easily on buses and some can’t… I would highly recommend these night buses whatever the case as they’re so convenient, cheap and excellent for planning around travel! 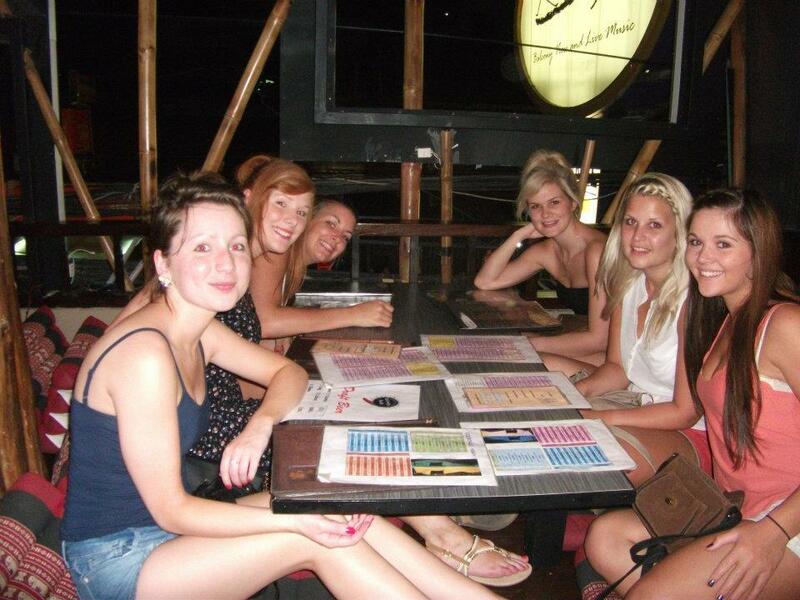 We were given a Thai meal which was not the nicest and had Soggy rice – vom!! 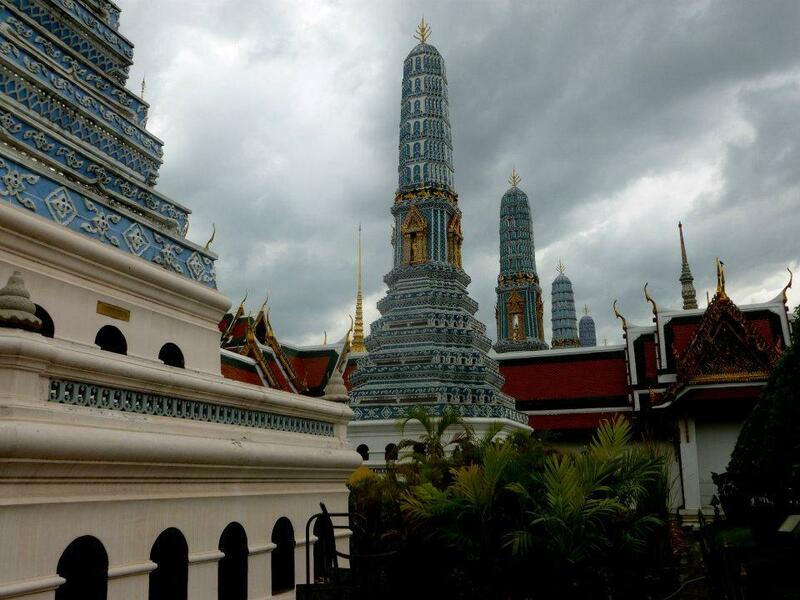 I had heard mixed things about Bangkok before going, some people love it and others hate it. You have to take the place with a pinch of salt, it smells, its hectic but the place is what you make it. I feel like I have now seen it and not sure I would make it a key place if I came again. 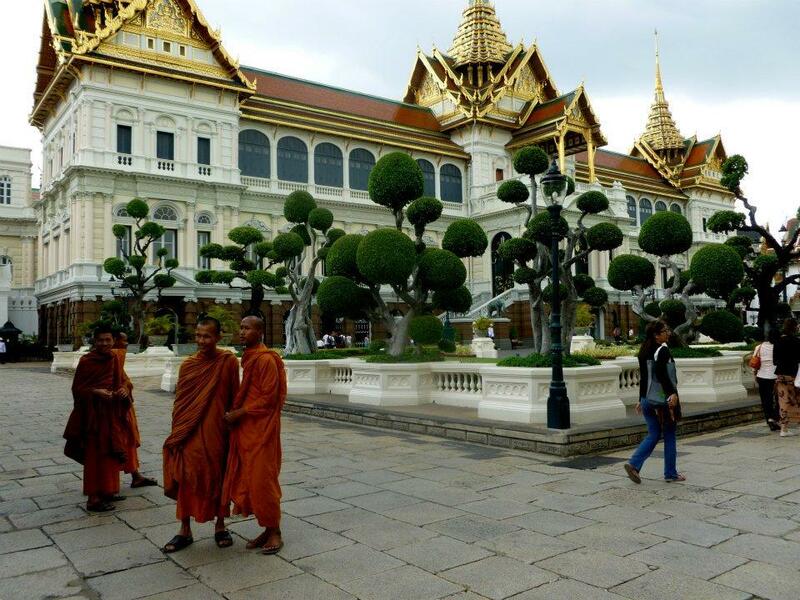 I did love all of the temples, food and what we got up to our first couple of days there. 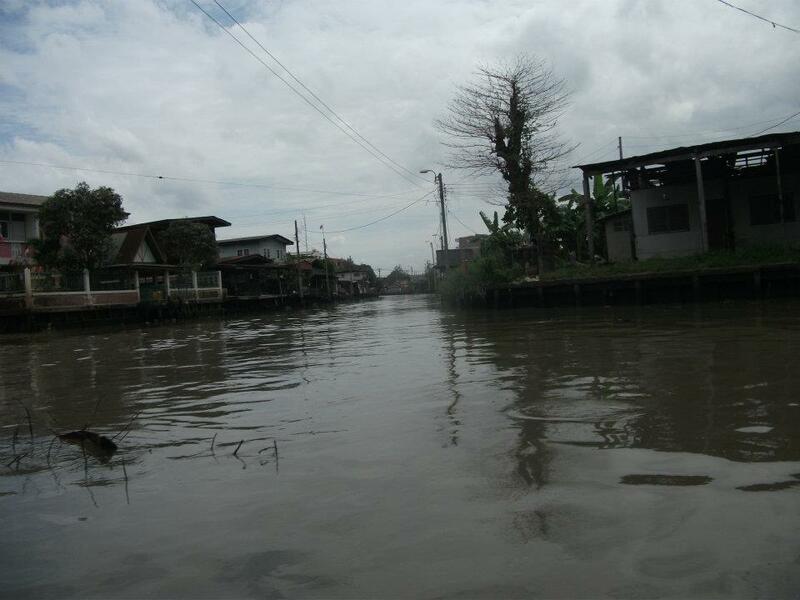 Previous Post Backpacking Asia: The Trauma of Getting to Bangkok! 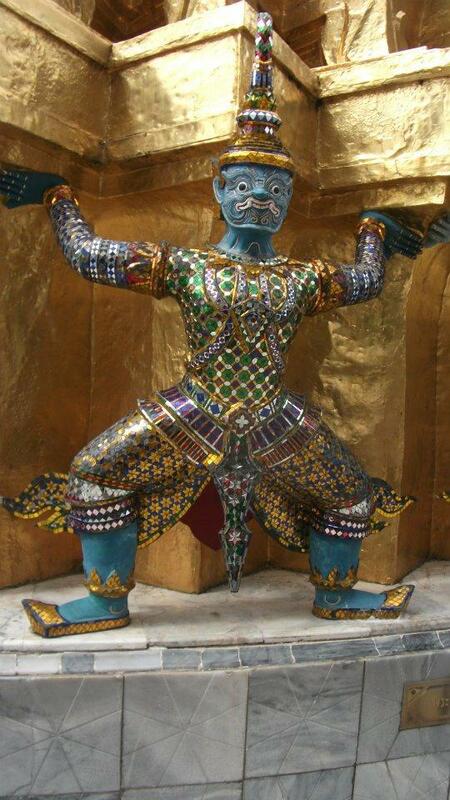 I love the Thai pants. They’re so colorful and they look really comfortable! What’s a fish foot spa – that peaked my curiousity! Is there actually fish in the water as you get a foot massage? 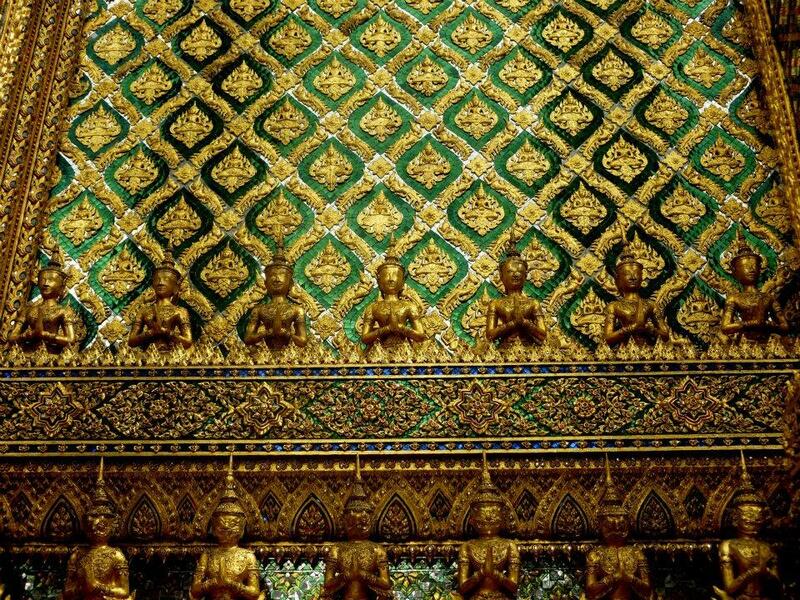 Bangkok looks like such a beautiful city – I can’t wait to visit Thailand! 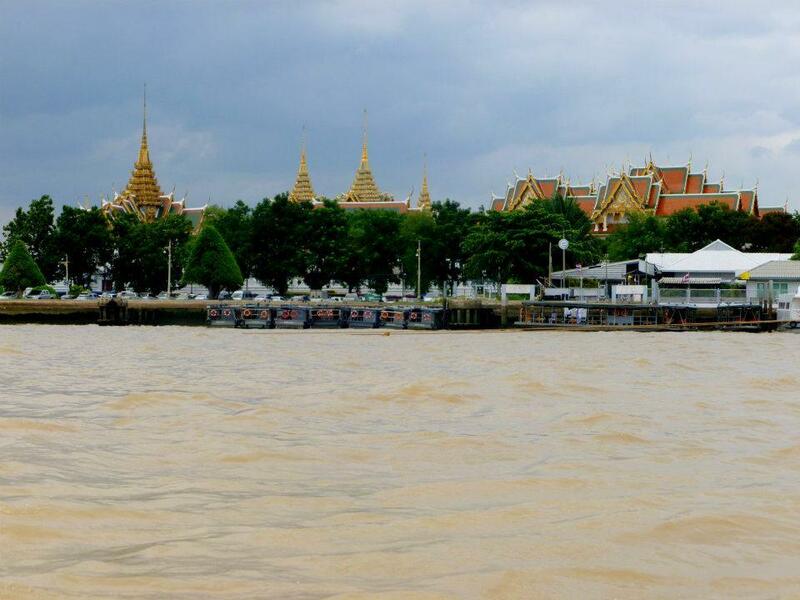 Love Bangkok so much. Always find new places to check out when I’m in town. This sounds like it was the start of an we some adventure! I look forward to hearing more as you go and living vicariously through you! Looks like a great experience after such a long journey there! Must get elephant pants? Now I think I need to get some! 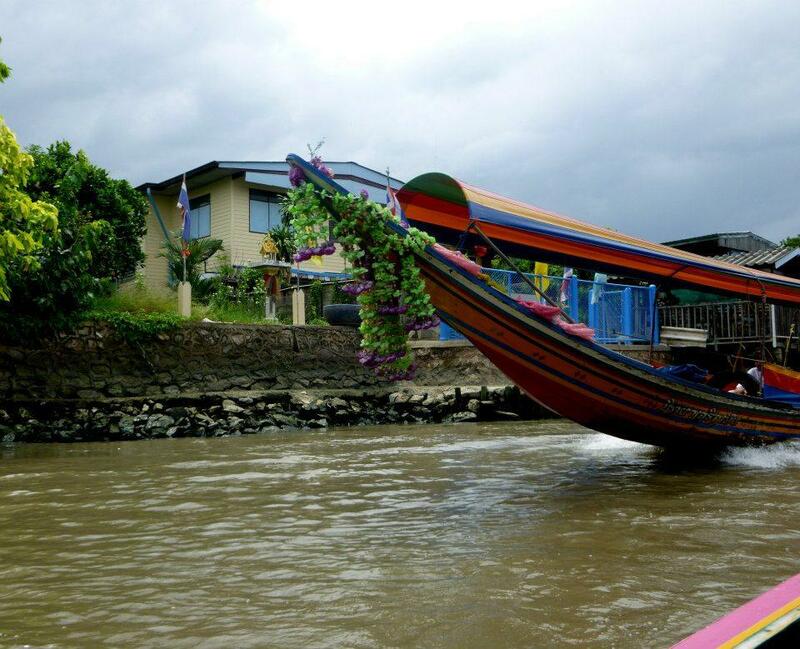 Enjoy Phuket! 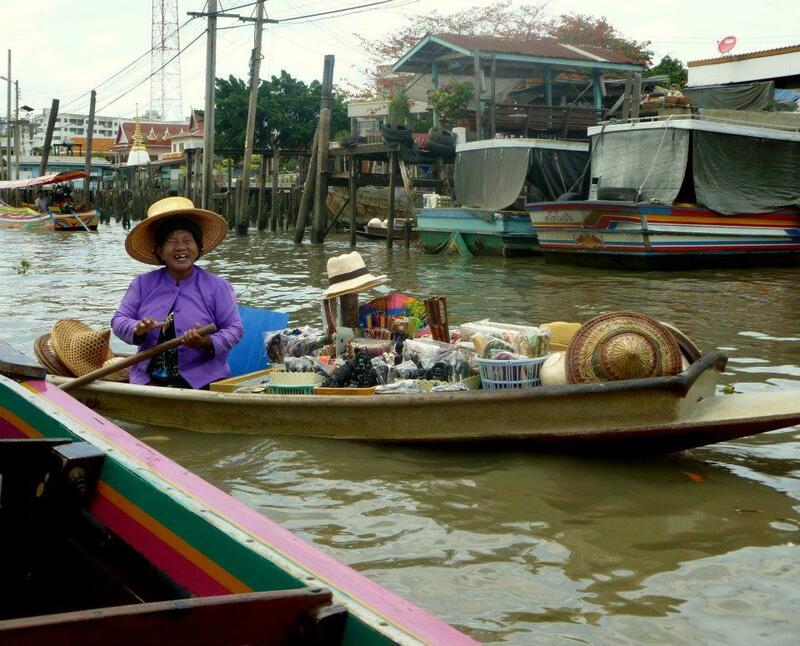 Bangkok is such a vibrant place and there is so much to see and do. We had a lovely time when we were there a couple of years ago. We would love to head back as there is so much left to explore out there. 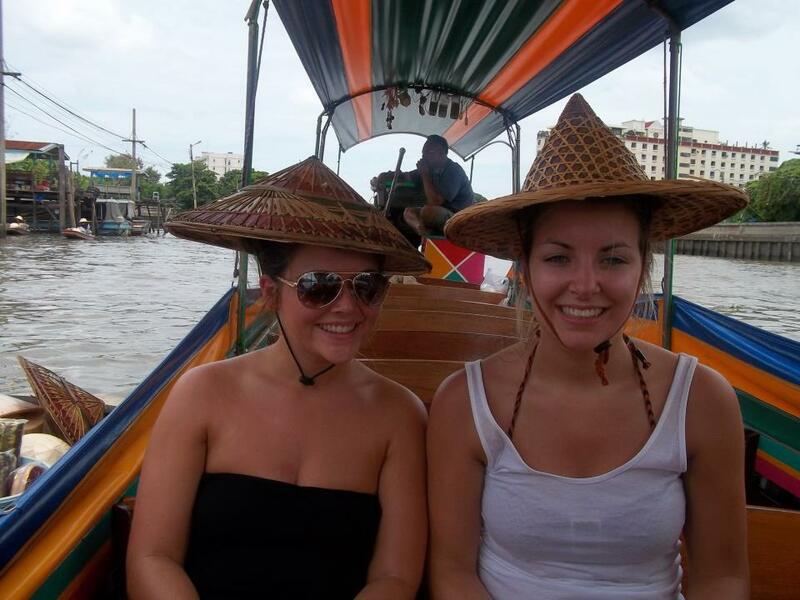 Glad you enjoyed your travels in Bangkok! I think it’s a great city! I can’t wait to go back and get more elephant pants. Great and hopefully you guys have an exciting adventure ahead! Thankyou!! They are so big!!!! It’s a water tank you out your feet in and the fish eat your dead skin!! Haha pretty gross but it was a pamper day!!? That’s what I should have done…gotten elephant pants to complete the scene! I just don’t like a place with many scammers.